One major thing I want to see from Bonga is use of his left hand. I have watched the limited footage of him on youtube a couple times and noticed he never uses his left in any of the times he attacks the basket. Bunch of the gang is here. I could totally see Svi being a jj redick type player. Would be a huge steal. 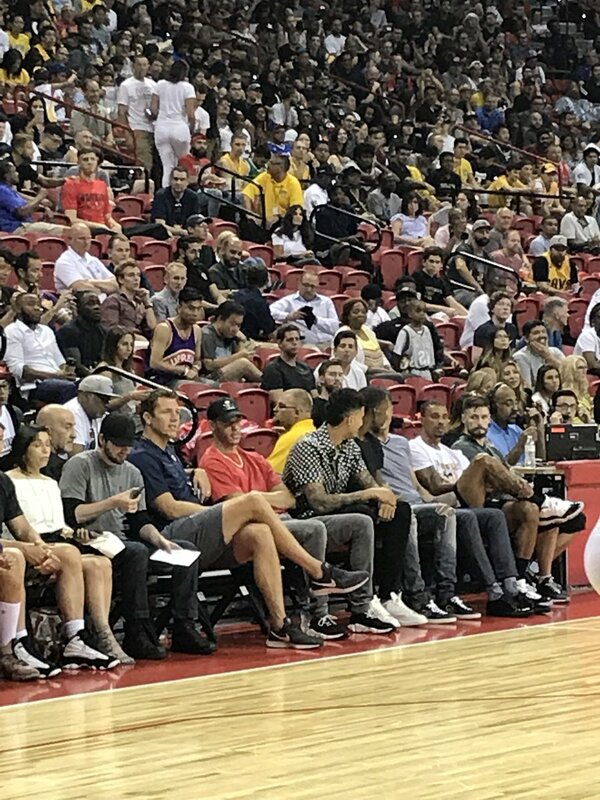 Javale joining the lakers group on the sidelines. Javale with the Gucci fanny pack. Bonga is definetely not ready. Not even G-League material right now. Svi is shooting 40%+ from the 3 this year. Svi can shoot man, he definitely gonna see some playing time. MO WITH THE STEAL AND SLAM!!!! !